Paddle around magnificent Diaporos island surrounded by a natural mainly pine forest, right across Vourvourou village in Sithonia peninsula of Halkidiki. The famous Blue Lagoon beach with long shoal, white sand, surreal bright blue and clear water is waiting for you. You can reach Halkidiki very easily from Thessaloniki city and start your holidays right away! Our experienced guides will show you the best locations of the area and especially the wonders of Vourvourou, Diaporos island and the magnificent Blue Lagoon beach. 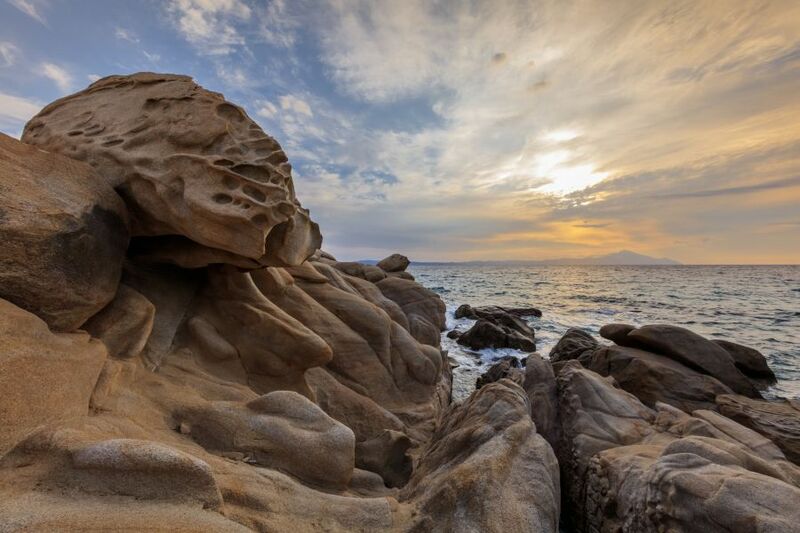 You may also explore two more spots in the area, the amazing Myrsini beach and the astonishing Melting Rocks of Vourvourou. Click here to browse Greek Adventure's tours in Halkidiki! If, after enjoying the Aegean wonders, you wish to get a “taste” of mountainous landscapes before your return home, there is a “secret” little place of stunning beauty in a distance of two and half hours that worth a visit. That little place is called Grevena and is one of the “best-kept secrets” of Greece… A land with traditional old stone bridges and gorges, awesome rivers and a National Park like no other! And keep in mind, Greek Adventure can arrange all other services for you like transport and accommodation, so you can rest easy and enjoy your holidays in Greece! Conquer Mt. Olympus, Greece - Guaranteed departure dates 2019. Seeking a true Digital Detox experience in Greece? Try canyoning the Greek gorges!